So here's the thing, many of our clients like to design their own home and yes, some of them do have good taste but there’s a huge difference between good and amazing. As general contractors in Los Angeles we’ve been witnessing clients investing substantial amounts of money and getting average results, not to mention all the time spent searching for the right tile or door knobs. As we strive to achieve better results for clients we added FREE, professional interior design to our services list. Our designer is a top rated interior designer with award winning prizes in both commercial and residential fields. One of her first breakthroughs was through designing stores for Westfield shopping centers, GGP and Simon. After a major decision to start her own family, she decided to camp right here in Sherman Oaks Ca. and focusing in residential properties but not only. Let us take the headacks off your shoulders, Let us design the perfect space, let us walk you hand in hand searching for the perfect flooring, plumbing fixtures and doors, let us bring you better design and construction results. *Project must be at least $17k in value. *Free Design hours depends on the size of the project. *Cannot be combined with other discounts or/and coupons. *Coverage area is limited and certain areas may not be accommodated. If you’re thinking of changing the layout of your house, taking down some walls to open up your kitchen, adding a room, converting a garage or even just building a patio cover than you need a plan. In order to be able to obtain a permit, not to mention start getting accurate bids on your remodeling project you will need a plan showing details and specification on how this should be done properly per your local city codes and regulations. 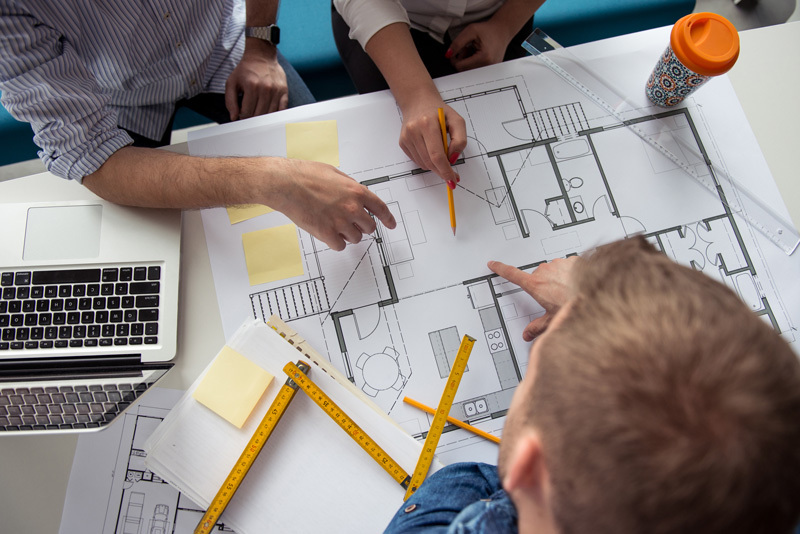 Here at Pearl Remodeling, we offer “In House” drafting services and complete architectural and engineering plans done by Licensed registered professionals. Benefits: Most Architects don’t pay attention to the cost involved in executing their design. As general contractors we will provide you with the best advice on how to design your house not only to make it loo k better but also in a way that will save you money during construction. By hiring Pearl Remodeling to plan your upcoming project you will also eliminate many possible miscommunications and human errors making us your one stop shop for the project.